The 2018 Audi A8 is the flagship sedan for the luxury German automaker, a rolling statement of success that competes in the rarefied air of executive haulers like the Mercedes-Benz S-Class, BMW 7 Series and Lexus LS. Though in its last model year before an all-new version arrives, the A8 and its high-powered S8 sibling pack a prestigious punch. Audi is the best in the world. The car only need oil and go for all places I like very much my car is the best. The fire the best is Pirelli fires have 2 years and no change this fire, the motor the best is with oil in time no wait to checked the motor oil the life of car is the oil motor. 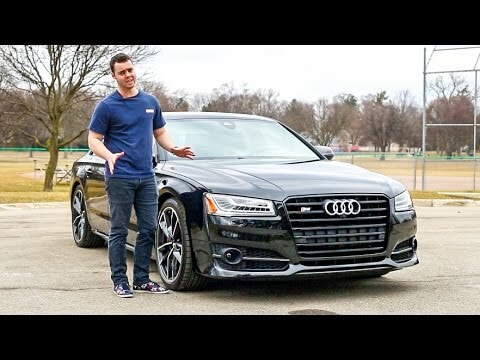 What It&#39;s Like To Drive The &#39;17 Audi S8 Plus!